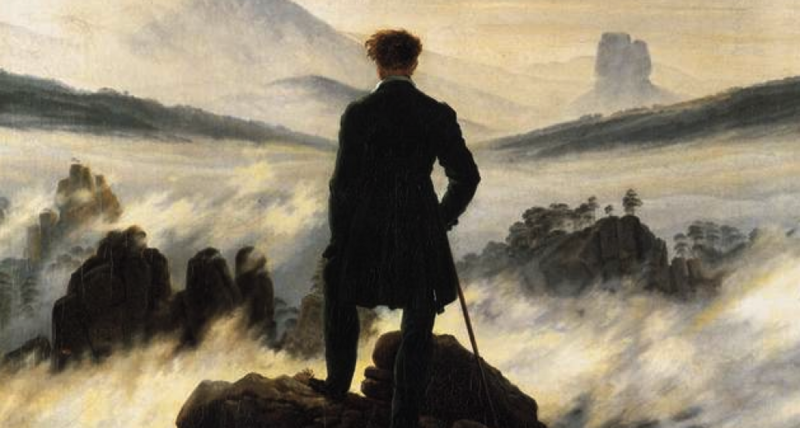 A musical investigation of desire. You may hear an operetta duet, a familiar or unknown musical theater selection, an Italian popular song, or even a country and western trio. RON BARNETT is Director of Music and Sacred Arts at Saint Mark’s Episcopal Church, Glendale. In addition to his work as an organist, choir director, and keyboard artist, Ron is active as a composer. His full-length musicals as composer include: Manson’s Girls with book by Scott Guy, lyrics by Mitch Glaser, which won a “Pick of the Fringe” award and the ALNM Award for Outstanding Songwriting during the Hollywood Fringe Festival 2018; A Christmas Carol with book by Barry Kornhauser, published in 2013 by Dramatic Publishing Company, and; When Butter Churns to Gold, which premiered in 2015 at Northern Sky Theatre in Door County, WI. His choral music is published by MorningStar, GIA, and Lorenz. Ron is currently a member of New Musicals Inc. in North Hollywood. Along with lyricist Greg Edwards, he was a finalist for the 2010 and 2012 Fred Ebb Prize. The Los Angeles Times hailed soprano ARIEL PISTURINO as “an impressive young discovery” following her debut performance as Nancy T’ang in Long Beach Opera’s production of Nixon in China. An advocate of contemporary works and collaborations with composers, Ariel performed the role of the Lover in The Industry’s nationally acclaimed production of HOPSCOTCH, and created the role of Laurie in Mark Abel’s opera Home is a Harbor, released on Delos Records. She also collaborated with Abel on his song cycle Five Rilke Songs for the album Terrain of the Heart, also on Delos. Recently, Ariel created the role of Rosina Brandram in a newly written Gilbert and Sullivan review Hail Poetry with Opera a la Carte. She also premiered a new song cycle, Dewdrops, by Alex Miller. Ariel co-founded the performance troupe Chamber Opera Players of Los Angeles (COPLA) and the summer concert series unSUNg, focusing on new and unknown vocal music. Highlights of her work with COPLA include the commission and premiere of The Last Silent Voice by George N. Gianopoulos, and performances of Ned Rorem’s Three Sisters who are not Sisters. Other credits include her performances with Long Beach Opera in Ernest Bloch’s Macbeth, the premiere of the electronic opera The Master and Margarita by Russian composer Gamma Skupinsky, and the premiere of the oratorio Circular 14: The Apotheosis of Aristides by Neely Bruce. The American tenor GERALD SEMINATORE’s first public appearances were in musical theater roles, and as a cover band singer. He began his professional musical career with ensembles including the Handel and Haydn Society, the Boston Early Music Festival, and Emmanuel Music. After completing his formal training, he went on to operatic engagements with the Chautauqua, Dayton, Glimmerglass, Oakland, Santa Fe, and West Bay opera companies. Gerald made his European debut at England’s Aldeburgh Festival, and then went on to become a member of the solo ensemble at the Dortmund Opera in Germany. He was also a frequent guest artist at the Frankfurt am Main Opera, the Rheinland Pfalz Theater in Kaiserslautern, and the Bremen Opera. His operatic repertoire has embraced a wide range of roles in works by Handel, Mozart, Donizetti, Chausson, Janáček, Britten, Stravinsky, Strauss, and others. His concert performances have included appearances with many orchestras and choral ensembles. Gerald’s singing has been recognized with numerous awards, and praised in publications such as the London Times, Opera News, and San Francisco Classical Voice. Recent collaborations include recital appearances with pianist Brian Moll in Boston, and with guitarist Taro Wayama in Los Angeles. Gerald is a teacher of vocal and performance techniques for college age and pre-professional singers and is currently a member of the Vocal Arts faculty at Georgia Southern University. Though we are currently on hiatus, we will continue to share audio and video files from our 2016 programs. For “The Not Quite Paris Cabaret,” Bernardo Bermudez and Ron Barnett performed Antonio Carlos Jobim’s classic “The Girl from Impanema,” in both Portuguese and English. (Translation in the video). 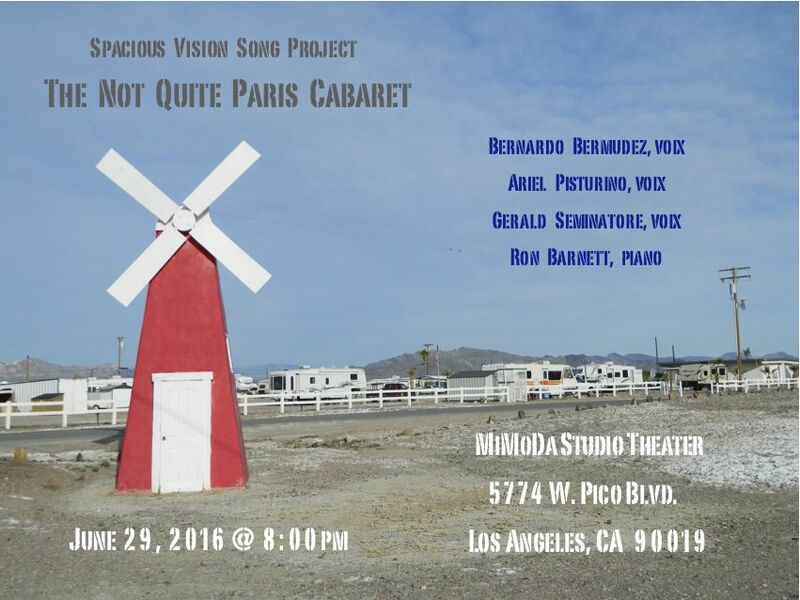 Our June 24 performance of “The Not Quite Paris Cabaret” in Glendale was enthusiastically received by our audience. That put some wind at our backs for our June 29 show for the Music@MiMoDa concert series in Los Angeles. Entry through the Paper or Plastik Cafe, 5774 W. Pico Blvd., Los Angeles. Open seating, no presale of tickets. You set your donation amount at the door. Cafe refreshments for purchase, you may bring them into the show with you. The program is family friendly, but not intended for young audiences. Scroll down to learn more about the artists. American born lyric baritone BERNARDO BERMUDEZ started his musical education at The Conservatory of Music Juan Manuel Olivares in Caracas, Venezuela. His many operatic credits include Figaro in Il barbiere di Siviglia, Silvio in Pagliacci, Stanley Kowalski in A Streetcar Named Desire, Belcore in L’elisir d’amore, Papageno in Die Zauberflöte, Count Almaviva in Le nozze di Figaro, Vidal in Luisa Fernanda, Schicchi in Gianni Schicchi, and Morald in the North America stage premiere of Richard Wagner’s Die Feen, as part of Los Angeles Opera’s Ring Festival. Bernardo was a voice fellow at both The Music Academy of the West in Santa Barbara California and Opera North in New Hampshire. His singing has been recognized with awards from the the Burbank Philharmonic Hennings-Fischer Competition, the Opera Buffs, and the Zachary Vocal Competition. Soprano ARIEL PISTURINO completed her graduate studies at the University of Southern California, where she performed with the Thornton Opera. She has appeared with the Long Beach Opera and other Southern California companies in roles from Carmen, Don Giovanni, Nixon in China, and The Magic Flute. Most recently, Ariel appeared in the nationally acclaimed operatic event Hopscotch with the Los Angeles-based company The Industry, and as Donna Elvira in Don Giovanni with the Redlands Opera Theater. She was a featured soloist on the recent Delos Records releases of “Terrain of the Heart” and the opera “Home is a Harbor” by composer Mark Abel. Tenor GERALD SEMINATORE is the founding Director of the Spacious Vision Song Project. He began his musical career with professional ensembles including the Handel and Haydn Society, the Boston Early Music Festival, and Emmanuel Music. Operatic engagements in the USA have included roles with the Chautauqua, Dayton, Glimmerglass, Oakland, Santa Fe, and West Bay opera companies. He made his European debut at England’s Aldeburgh Festival, and went on to become a member of the solo ensemble at the Dortmund Opera in Germany. Gerald was also a frequent guest artist at the Frankfurt am Main Opera, the Rheinland/Pfalz Theater in Kaiserslautern, and the Bremen Opera. His concert performances have included appearances with many orchestras and choral ensembles. Gerald’s singing has been recognized with numerous awards, and praised in publications such as the London Times, Opera News, and San Francisco Classical Voice. TARO WAYAMA is a Japanese born guitarist and composer. He was the First Prize winner in the 2003 Aron Green/American String Teachers Association Guitar Competition, and the Second Prize winner in the Thailand International Guitar Competition. As a composer, Taro received the award for “Best Original Score” at the Los Angeles Movie Awards for the independent film Anne Jennings. He is an active soloist and chamber musician, and has performed in Japan, Thailand, Canada, and the USA. Taro frequently collaborates with instrumentalists and singers in presenting Classical music from the Renaissance through 20th Century, as well as venturing into Folk and World music. Taro earned both his Masters and Bachelor of Music degrees at the University of Southern California, where he studied an array of master teachers including Pepe Romero and Scott Tennant. RON BARNETT is the Director of Music and Sacred Arts at St. Mark’s Episcopal Church in Glendale, CA. In addition to his work as an organist, choir director, and keyboard artist, Ron is active as a composer and music educator. His choral works have been published by GIA Publications and Morning Star Music Publishers. His score for A Christmas Carol (book by Barry Kornhauser) premiered at the Fulton Theatre (Lancaster, PA) in 2001. Since its recent commercial publication, the show has enjoyed several productions across the United States. A second show, Around the World in 80 Days (book and lyrics by Julianne Homokay) premiered at the Fulton Theatre in 2007. Ron’s new show When Butter Churns to Gold (book by Peter Welkin, lyrics by Randi Wolfe) had its 2015 premiere at the Northern Sky Theatre (Fish Creek, WI). Ron’s orchestrations include the productions of Bojangles (music by Charles Strouse, lyrics by Sammy Cahn), Yes, Virginia, There is a Santa Claus (music and lyrics by David Kirshenbaum) and Treasure Island (music and lyrics by Marc Robin and Curt Dale Clark). Sound Design credits include the Off-Broadway production of All Under Heaven starring Valerie Harper as Pearl S. Buck, and Zelda and The Last Flapper, which played in Romania and Hungary as part of the ACTIV-5 International Theatre Festival. For our 2014 program “Carols Rare and Bright,” Bernardo Bermudez and Anthony Moreno sang rarely performed villancicos (Spanish language Christmas songs). These wonderful songs deserve a wider audience, and here are two selections from our salon at Elise’s in Long Beach, CA. For this concert, Kristof Van Grysperre played a restored Hamburg Steinway grand piano from 1890. Jesus the Messiah is coming. The baby in its cradle. And the baby smiles sweetly. A playlist of selections from “Carols Rare and Bright” is available at the Spacious Vision channel on the SoundCloud music service. Videos from past programs may also be viewed at the Spacious Vision YouTube channel. The audience response to “Carols Rare and Bright” was so enthusiastic, we have decided to air a Webcast of the program on Jan. 1 and Jan. 3. “Carols Rare and Bright” features rarely heard solo songs and carols from composers such as Benjamin Britten, Ralph Vaughn Williams, and Joaquin Rodrigo. A highlight of the concert are performances of carols by jazz musician Alfred Burt. This music is still very much in season; after all, Twelfth Night (the last of the Twelve Days of Christmas) does not fall until Jan. 5! Singers for these concerts are baritones Bernardo Bermudez and Anthony Moreno, sopranos Ariel Pisturino and Susan Mohini Kane, and the critically acclaimed tenor Gerald Seminatore. Pianist Kristof van Grysperre, Associate Conductor at the Long Beach Opera, presides over the program. This is an extraordinary lineup of vocal and musical talent! To view a broadcast online, you need a reliable Internet connection. Click on the link below, and then create a Concert Window login. It’s a quick and easy thing to do. This is a “pay what you want” event; the minimum ticket price of $1 allows us to track the number of visitors and viewers. However, we suggest a donation of at least $10 so that we might recoup some of the expenses involved with producing this program. You can also leave a “Tip” at any time during the concert. We hope that you will stop by this event, so that we can share some heartfelt singing with you! 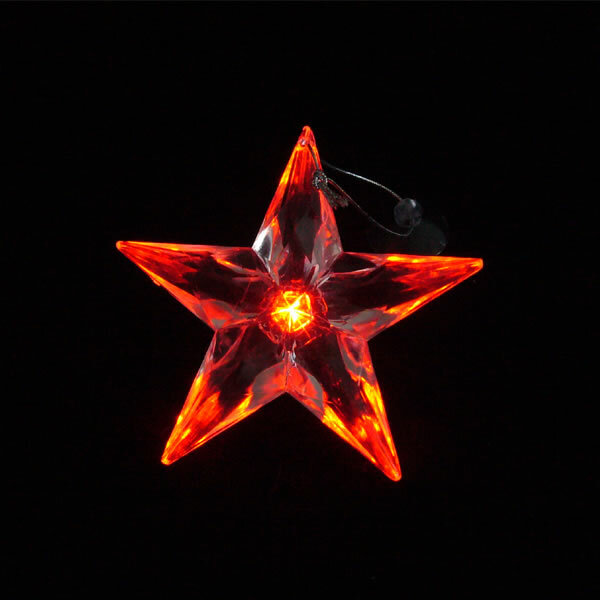 During the Christmas holiday season, traditional songs and carols are heard everywhere we go. While we may enjoy or find comfort in familiar tunes, we might also wish to refresh our holiday spirit with something new or different. Our 2014 holiday concert will offer rarely heard songs and carols by composers such as Benjamin Britten, Joaquin Rodrigo, and Ralph Vaughn Williams, along with old English carols and Spanish villancicos. Tuneful and intimate carols by jazz musician Alfred Burt will add a further glow to the evening. And there will be an opportunity for everyone to sing along! Friday, Dec. 19 at 7:30 p.m.
Singers for these concerts include baritones Bernardo Bermudez and Anthony Moreno, sopranos Ariel Pisturino and Susan Mohini Kane, and the critically acclaimed tenor Gerald Seminatore and pianist Kristof van Grysperre, Associate Conductor at the Long Beach Opera. For the Dec. 19 event at Elise’s Tea Room: Tickets available only at the door. Reservations are suggested, though not required. A $20 ticket entitles the bearer to an unreserved seat, as well as tea, beverages, and an array of pastries and snacks. (A $10 student discount is available with current student ID). A brief talk will introduce the artists and the music, and an informal reception will follow the concert. Contact the Tea Room at (562) 424-2134, or visit their website at www.elisestearoom.com for more information. The Dec. 21 event at Trinity Presbyterian Church is a general admission event, and no tickets are required. A $20 donation is suggested, though any contribution will be gratefully accepted. Both venues are easily accessible for visitors. American baritone Bernardo Bermudez started his musical education at the Music Conservatory of Caracas, Venezuela. He has appeared in principle operatic roles in The Barber of Seville, A Streetcar Named Desire, The Elixir of Love, The Magic Flute, Luisa Fernanda, and La Boheme. He has also sung at prestigious summer festivals such as The Music Academy of the West in California, and Opera North in New Hampshire. Bernardo’s singing has been recognized with awards from the organizations such as Opera Buffs, the Loren L. Zachary Foundation, and the National Association of Teachers of Singing. A native of Belgium, Kristof van Grysperre has an international career as a pianist, chamber musician, vocal coach, and conductor. The Orange County Register has hailed his artistry as “gifted and stylistically impeccable.” Kristof has conducted more than forty operas, for companies such as Opera Pacific, Baltimore Opera Studio, Long Beach Opera, and the Thornton School of Music. 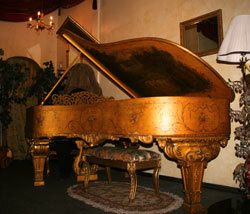 At the piano, he has collaborated with many singers and instrumentalists in recital. 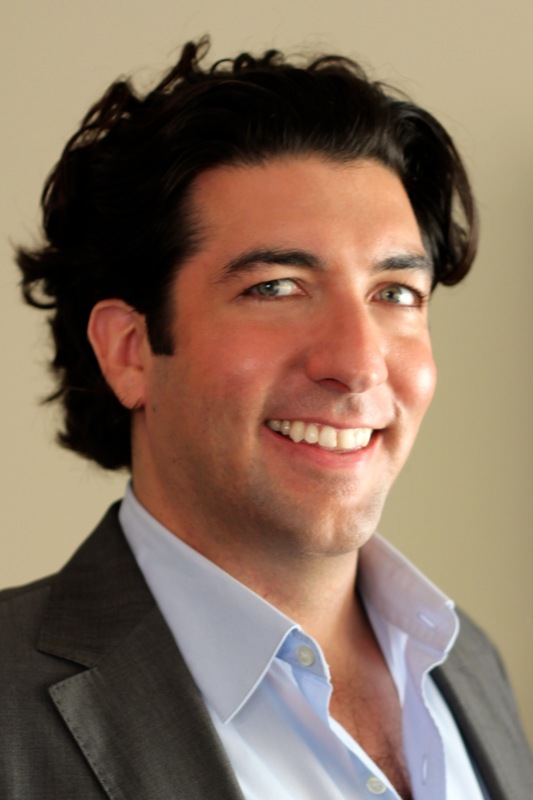 He is currently the Associate Music Director at Long Beach Opera. American soprano Susan Mohini Kane (DMA) has myriad credits as a soloist in concert and recital in Southern California and around the United States. She has presented many lectures on voice performance and pedagogy at national and international conferences, and published extensively on an array of topics related to the education and training of singers. American baritone Anthony Moreno is currently pursuing his Master’s degree at the University of Southern California’s Thornton School of Music. His singing has been recognized with numerous awards, including an award as Regional Finalist from the Metropolitan Opera National Council Auditions, and a Certificate of Special Recognition from the California State Senate. He has appeared in principal roles with the Thornton Opera, and in touring programs with Cantos de Taos. American soprano Ariel Pisturino earned the Master of Music degree from the University of Southern California, where she performed with the Thornton Opera. She has also performed with Long Beach Opera and other groups, including roles in John Adams’ Nixon in China, The Magic Flute, Carmen, and Don Giovanni. Ariel is a co-founder of the Chamber Opera Players of Los Angeles (COPLA), and the co-founding curator of the unSUNg concert series produced by LaurisList. American tenor Gerald Seminatore began his singing career as a professional chorister with noted ensembles such as the Handel & Haydn Society and Boston Baroque. His resume includes roles with companies such as the Santa Fe Opera, Glimmerglass Opera, and Chautauqua Opera in the United States, and the Dortmund, Bremen, and Frankfurt Opera theaters in Germany. Gerald’s singing has been praised in publications such as the London Times, Opera News, and San Francisco Classical Voice, and has been recognized with awards from organizations such as the MacAllister Foundation for Opera Singers, the Metropolitan Opera National Council, and the American Aldeburgh Foundation. We welcome baritone Bernardo Bermudez for his first Spacious Vision concert. Bernardo has appeared in principle roles in operas including The Barber of Seville, A Streetcar Named Desire, The Elixir of Love, The Magic Flute, Luisa Fernanda, and La Boheme. He has also sung at prestigious summer festivals such as The Music Academy of the West in California, and Opera North in New Hampshire. 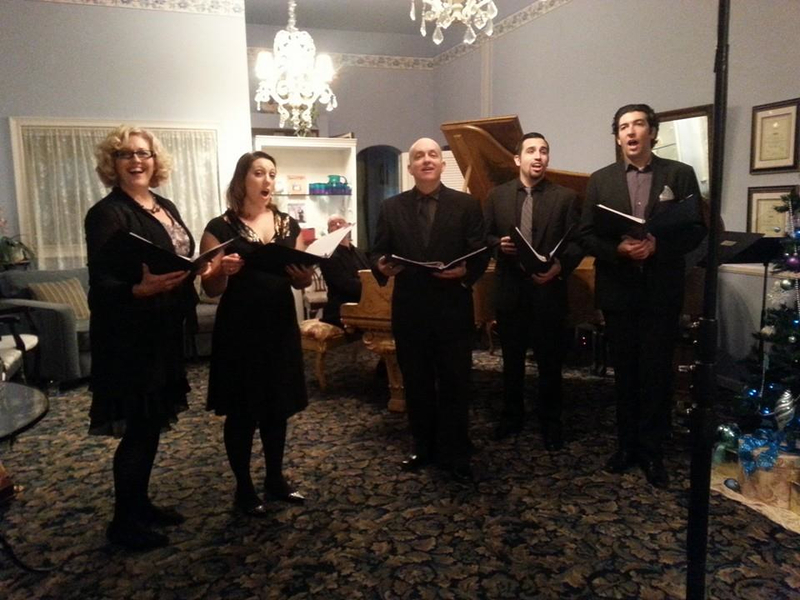 Bernardo’s singing has been recognized with awards from the organizations such as Opera Buffs, the Loren L. Zachary Foundation, and the National Association of Teachers of Singing. He is a regular artist with the Education and Community Outreach programs of both the Los Angeles Opera and the San Diego Opera. Click here for information about our Dec. 19 Long Beach performance. Click here for information about our Dec. 21 Pasadena performance.